Three members of the MS-13 street gang were arrested in connection with an overnight shooting in Southold on Tuesday, town police said. Police arrested a 31-year-old Greenport man and two teenagers, one of whom attends Greenport High School, and charged them with first-degree assault, police said. The three people arrested were: Pedro Emilio Santamaria, 31; Jeremias Nathanael Recinos Torres, 19, of Aquebogue; and Walter Vasquez, 17, of Greenport, police said. Mr. Santamaria and Mr. Recinos Torres were additionally charged with criminal possession of a weapon, police said. Mr. Recinos Torres and Mr. Vasquez are both in the United States illegally and are currently in removal proceedings, police said. 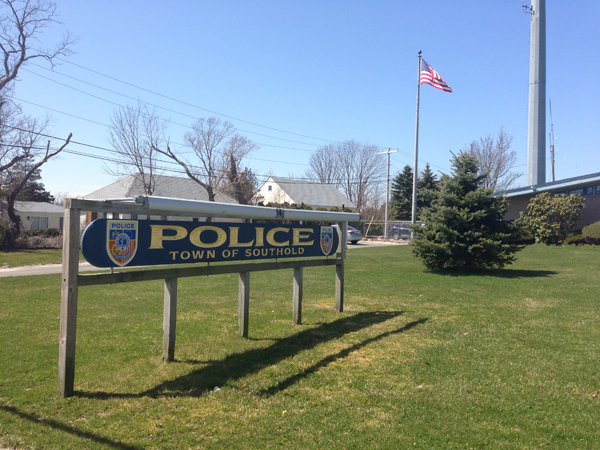 The three men were arraigned Wednesday in Southold Town Justice Court. They are each being held on $250,000 cash bail or $750,000 bond. Judge Rudolph Bruer presided. They’re due back in Southold Town Justice Court Friday. 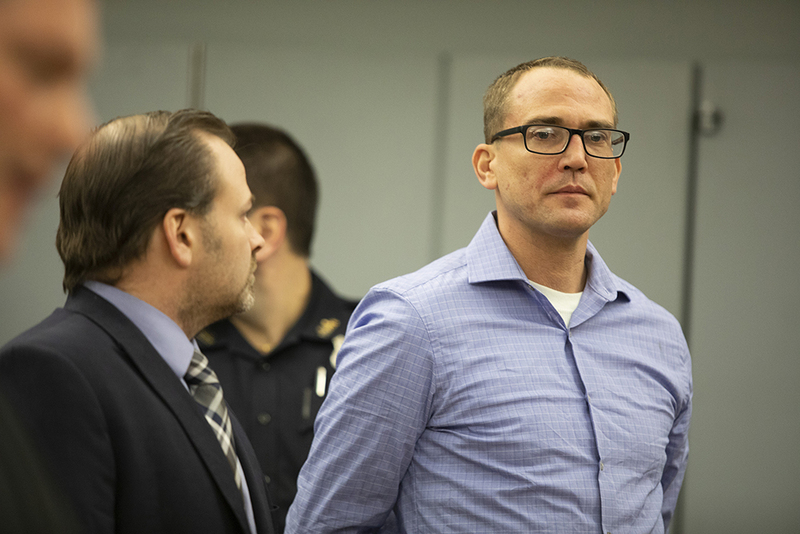 “This investigation is still very much active,” Southold Town Police Chief Martin Flatley wrote in an email to reporters Tuesday night. A responding officer spotted Mr. Santamaria and Mr. Recinos Torres in a parked vehicle a short distance from the scene, police said. The officer found a loaded semi-automatic handgun in the vehicle. Police brought both men into custody and, during the investigation, discovered Mr. Vasquez was also involved. Authorities arrested Mr. Vasquez at Greenport High School, police said. Greenport Superintendent David Gamberg said he has spoken directly with the police department about the incident. The violence occurred just past midnight Tuesday and stemmed from a dispute that occurred at Third Street Park in Greenport Oct. 10, police said. The victims, whose identities have not been released, are allegedly members of Mara-18, or 18th Street, a rival street gang, police said. The victims were walking along Route 25 and South Harbor Road, where they both live, when they were spotted by the MS-13 members Tuesday, police said. The MS-13 members ambushed the victims, police said, and as many as five shots were fired from a .22-caliber handgun. One victim was attacked with a machete, police said. Southold Fire Department rescue volunteers were called to the scene after the area was cleared, Fire Chief Peggy Killian said. Chief Killian, who responded to the first victim, said the man was shot in the stomach and was “very seriously” hurt. The man was rushed into surgery at Peconic Bay Medical Center. The second man was shot in the shoulder and had also been cut, Chief Killian said. He was also taken to PBMC for treatment. The victims, whose names have not been released, are listed in stable condition, according to a PBMC spokesperson. A woman who answered the door at the house Tuesday afternoon where the shooting allegedly occurred declined comment, saying in Spanish that she did not speak English. Beer bottles and a gauze wrapper littered the lawn there and a work boot could be seen a few feet away on a neighbor’s driveway. South Harbor resident Allan Connell, who said he’s lived in his home since 1983, said he heard at least four gunshots Tuesday. Vincent Gatt, another nearby resident, expressed disbelief that a shooting occurred in his neighborhood. The MS-13 gang, also known as Mara Salvatrucha, originated in Los Angeles and comprises Central Americans commonly from Honduras, El Salvador, and Guatemala, according to the federal Department of Justice. Its main rival is the “18th Street” gang, also known as M-18 or Mara-18, which also is made up of those with ties to Central America, according to the department.